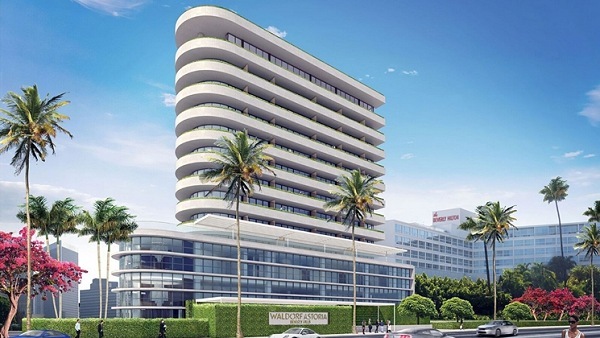 Adjacent to The Beverly Hilton, the 12-story hotel is the Waldorf Astoria Hotels & Resorts’ first new build on the West Coast and second California property, joining the Waldorf Astoria portfolio of now 26 hotels and resorts globally. 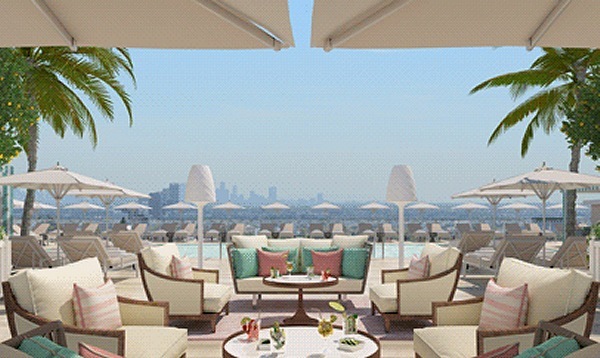 Owned by Alagem Capital Group and clients of Guggenheim Partners, the hotel’s 119 deluxe rooms and 51 suites are part of an Art Deco-influenced design created by interior design firm Pierre-Yves Rochon, Inc.
“Waldorf Astoria’s west coast expansion is celebrated today with the opening of a new, modern icon, Waldorf Astoria Beverly Hills, which will offer global travellers a new standard of luxury in Los Angeles,” said John T.A. Vanderslice, global head, Waldorf Astoria Hotels & Resorts. The hotel will assign a personal concierge to every guest from pre-arrival until departure, including an individual bespoke in-room check-in service.